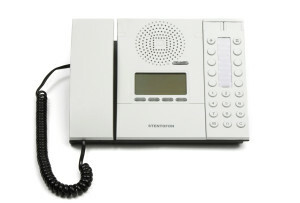 Our excellent range of Intercom systems has something for everyone, whether you need a Intercom for a health clinic, an office or a school, we will have one that is exactly right for you. Of course, when there are so many intercom units available, it can leave you confused about which one to go for, but we can provide you with expert advice to make sure you choose a model that suits your needs. We have everything from easy-to-operate models that will suit small businesses to more sophisticated systems that can be installed across a large site such as a college campus, airport or hospital. Our systems are reassuringly secure to make sure that all your staff or clients only have access to relevant areas of your buildings. Anyone who needs a door-entry (Remote Door Access) system will find our Intercom systems very easy to use for access and communication. If your visitors, contacts or customers have complained that your intercom is difficult to use in the past, then installing one of our systems will make life much easier as well as improving the image of your business. While all the models we sell are of a high quality, the price tags attached are unbelievably affordable and we are sure to have one that suits your budget.